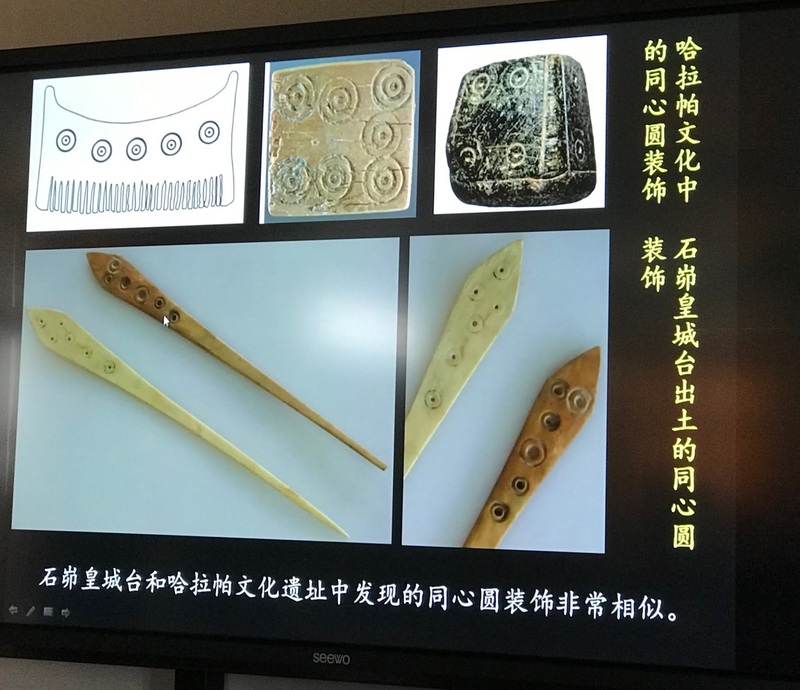 We learned about the origins of the East-West Silk Road early in our trek through Shaanxi Province, but at Shimao we learn about the North-South version, the trade route between Iran, Iraq, China and India that was used 5 millennia ago. That's 3,000 years before the birth of Christ. Locals knew of its presence 100 years ago but the technology was not here to investigate. 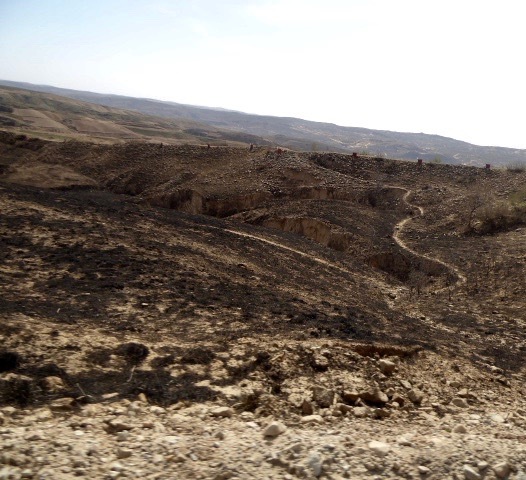 Excavation did not begin until 2012 and will take at least 50 years to complete. Definitely off the tourist track, a delegation in a variety of vehicles drove us up a track too narrow for our bus. We wove across bare, windswept hills and mesas, past a fenced off area to our right and a large, tarp-surrounded pavilion-like structure to the left. Just ahead we were ushered into the dig's headquarters where Associate Researcher Shao Jing gave us the slide presentation "Bridging Eurasia and China: Archaeological Evidence from Northern China during the 3rd millennium B.C.E." Archaeologists - there are 50 people in all responsible for the site - have found evidence of a large outer city surrounding a higher, smaller inner city, pond and tower. 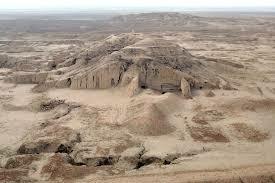 "At the top we believe they have found a palace. 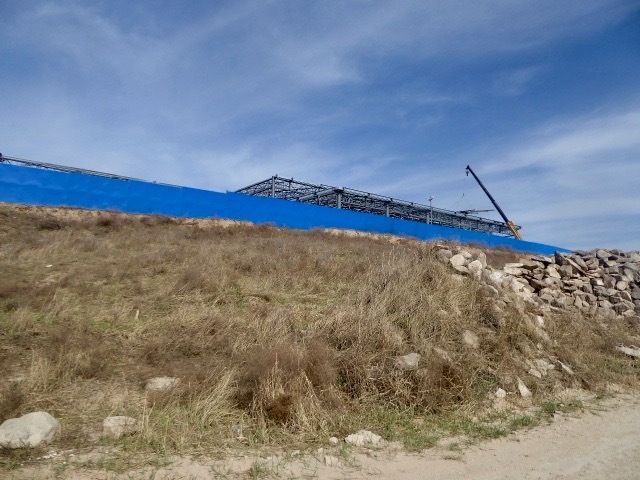 We are close to the rammed earth foundation. 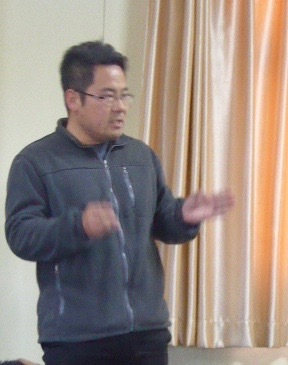 Similar sites are found in India and Iran," said Shao. 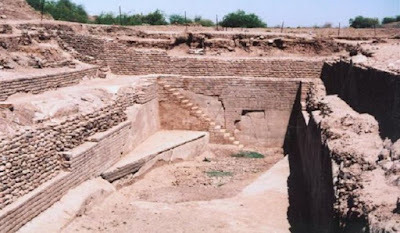 Dholavira, in the state of Gujarat, India, on the Tropic of Cancer, discovered 1967-68, is one. 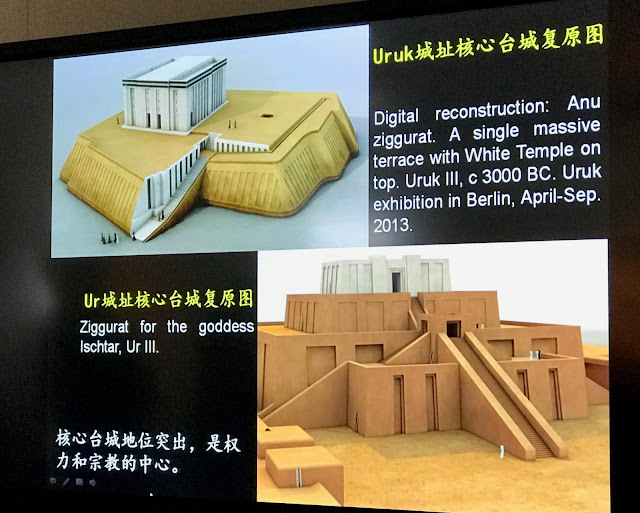 Others include Uruk of cylander seals and Gilgamesh fame in what is now Iraq; and Hatusa, which became the Hittite capital in Turkey. 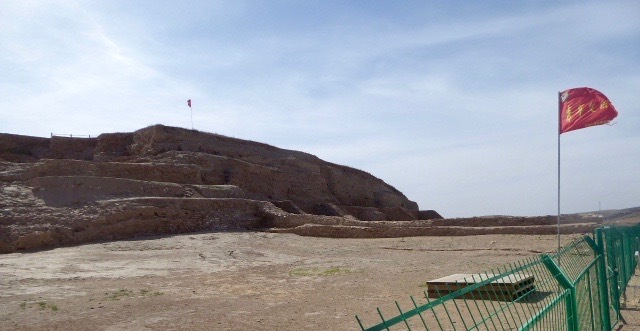 Similarities also were found in Jericho, Jordan. There is a noticeable cross-pollinization of building and decoration styles. Beyond that, when materials and objects from each site were found in the others it further indicated trade and communications between them. 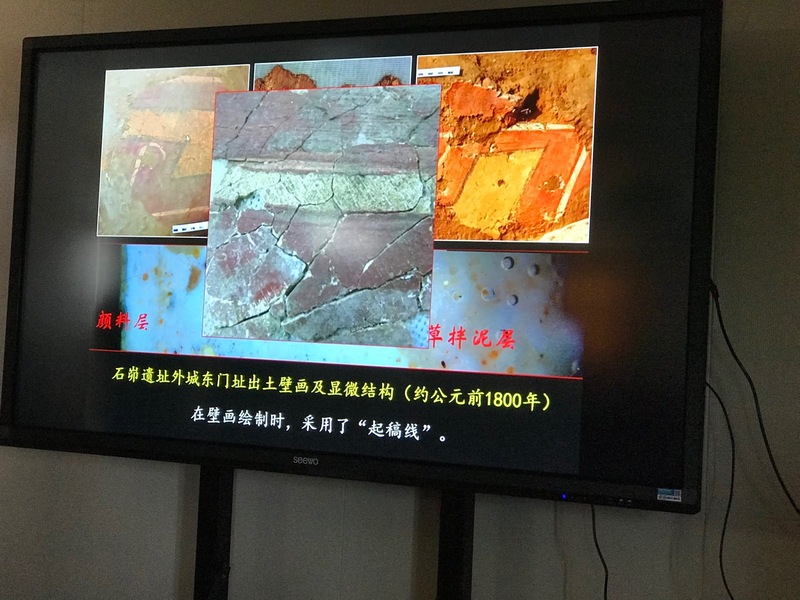 For example, the ivory and crystal being found at Shimao. 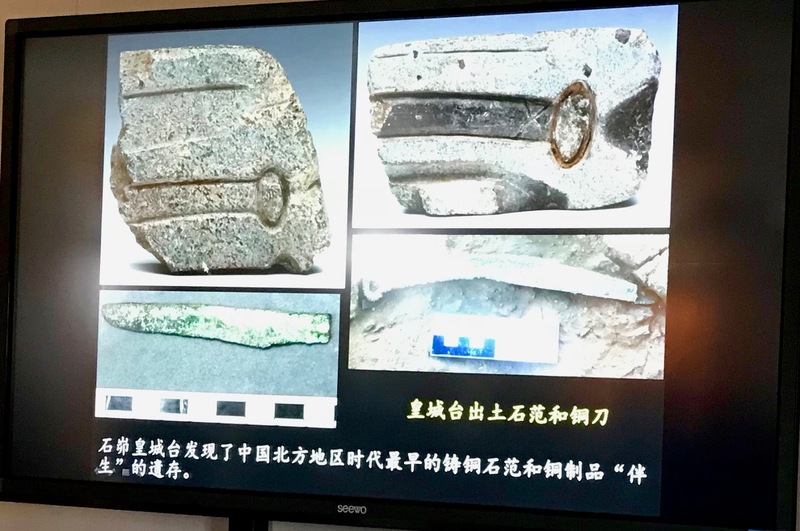 "Connecting the Middle East and the Northwest China site is a very important discovery," Shao said. So much so that they plan to apply for UNESCO World Heritage status in 2019. 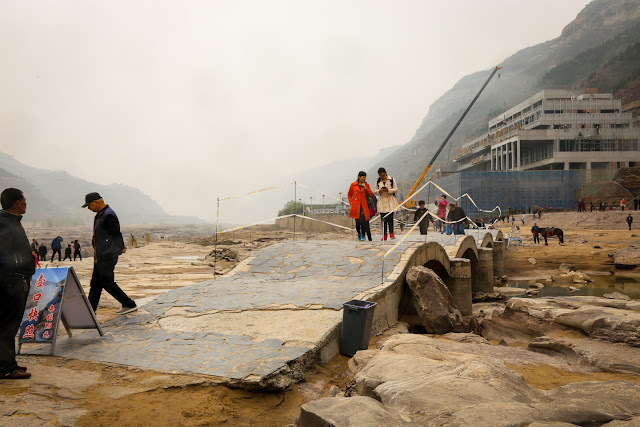 The site is not open to the public but Shao hoped it might be in two to three years. Let's see, given the wait for UNESCO status and the time to build facilities, mark your calendars for 2030. 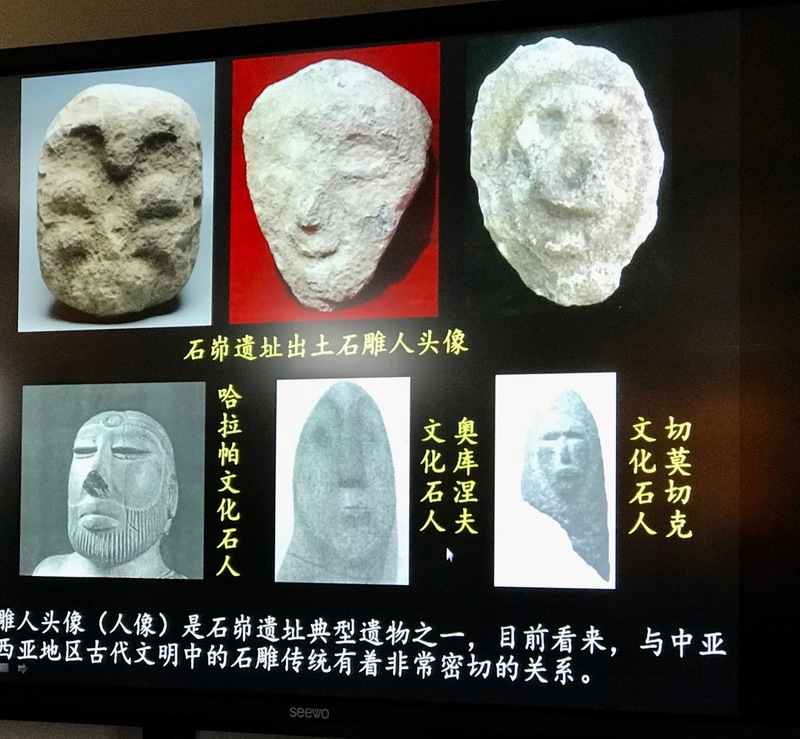 Another Chinese archaeological museum like the one we saw near Hancheng will be well-worth the trek. 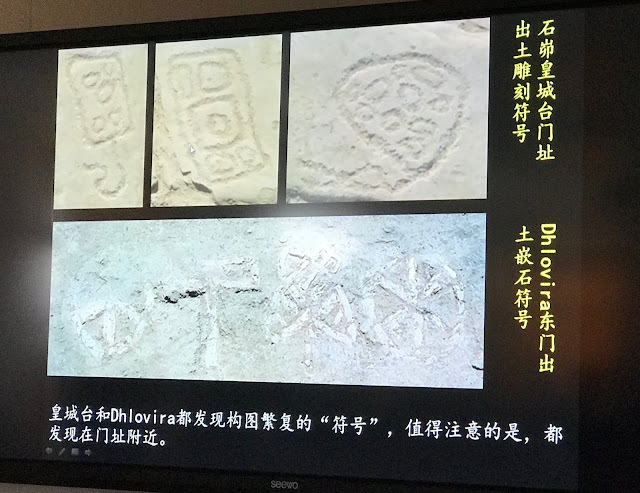 The Good Girls were part of a group of American travel writers visiting tourist sites in Shaanxi Province. One dreary, gray morning the bus pulled into a parking lot near the famed Hukou waterfall. Despite the light drizzle, everyone piled out to get an up-close look at the largest waterfall on the Yellow River, the second largest in China. We carefully walked down the slippery path to the growling sounds of the falls. The water flowing in the Yellow River is indeed yellow, sort of an amber hue that’s mixed with mud and silt the river churns up. The color reminded me of the Colorado River in the Southwest of the United States. 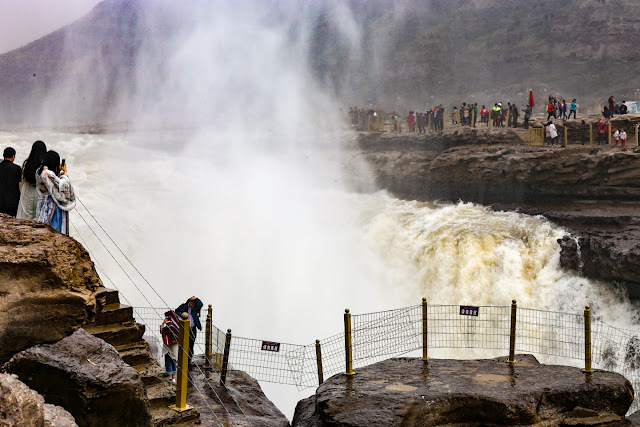 Despite its fame, the Hukou Waterfall has rather modest dimensions, about 100 feet wide, increasing to 164 feet during flood season, and only 65 feet tall. 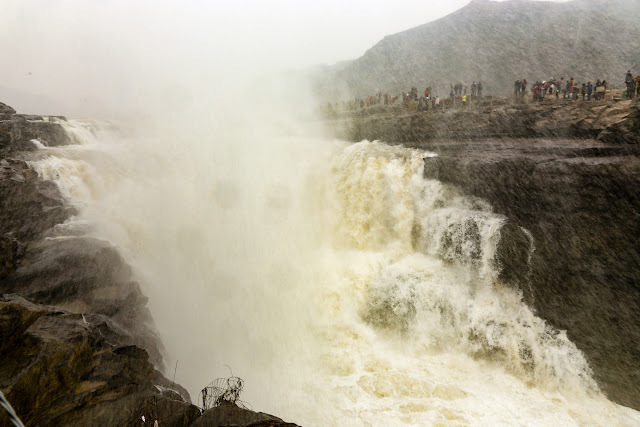 Yet, thousands of tourists come to see this waterfall and experience its thundering roar, especially during the flood or rainy season when the waterfall is at its mightiest. 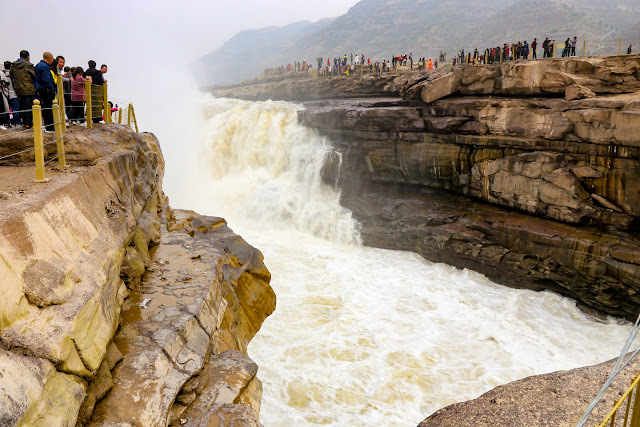 The waterfall forms as the Yellow River approaches Hukou Mountain. 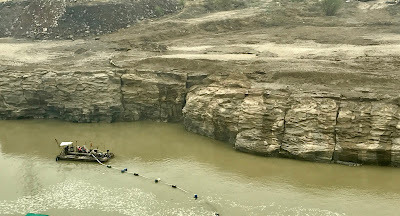 There it becomes blocked on both sides and squeezes through a narrow valley called the Jinxia Grand Canyon. 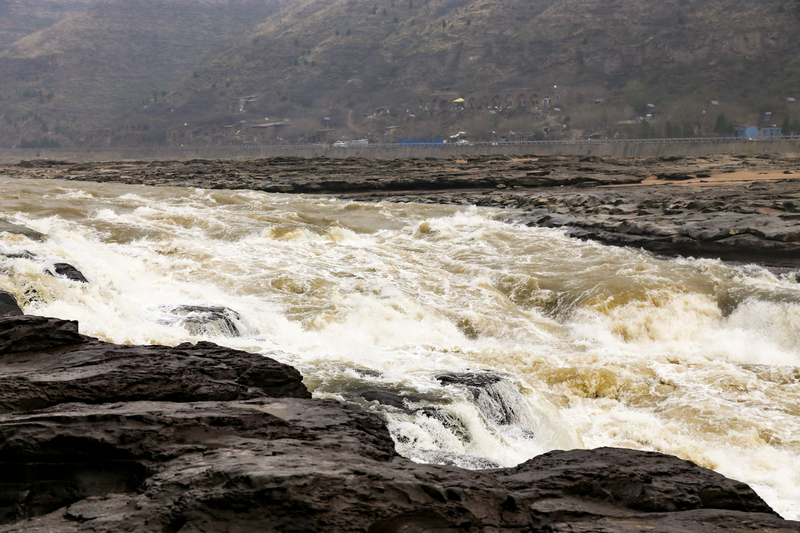 The riverbed abruptly narrows down from nearly 1,000 feet wide to less than 164 feet turning the calm river to turbulent rapids. 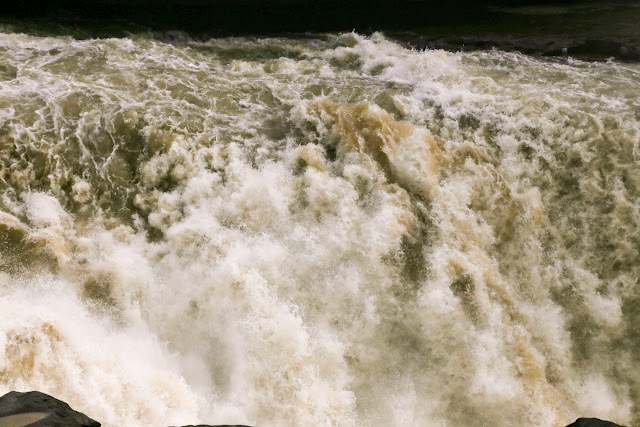 The roaring water then plunges about 65 feet over a narrow opening on a cliff. It gets the name Hukou (literally, "flask mouth") because someone thought it looked like water pouring out from a huge teapot. 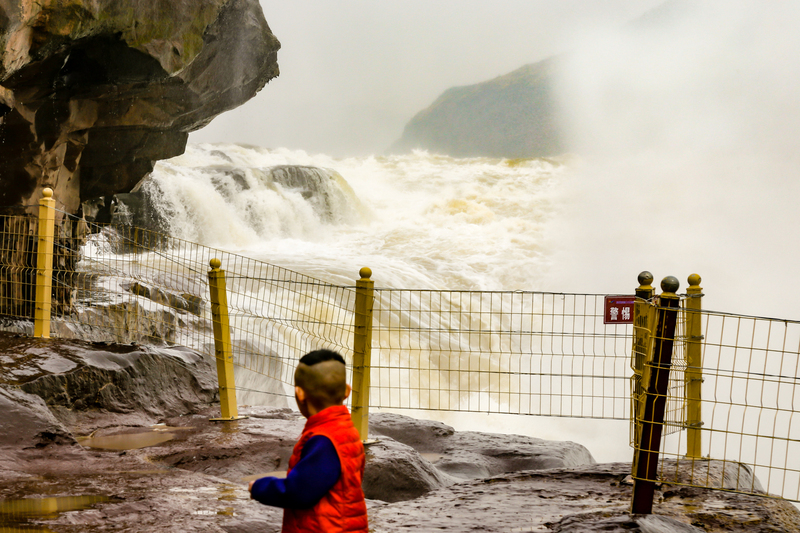 I worried about this little boy on his own near the falls. And, you had better heed the warning as the agitation would likely be deadly for anyone who fell in. The water sprays up from the falls getting onlookers wet. My group meandered around the edge of the falls and left feeling disappointed that Hukou was not the most spectacular of nature’s gifts, but certainly worth a stop for those passing nearby. If you come during flood season, I suspect you might feel differently. A much calmer section of the Yellow River. 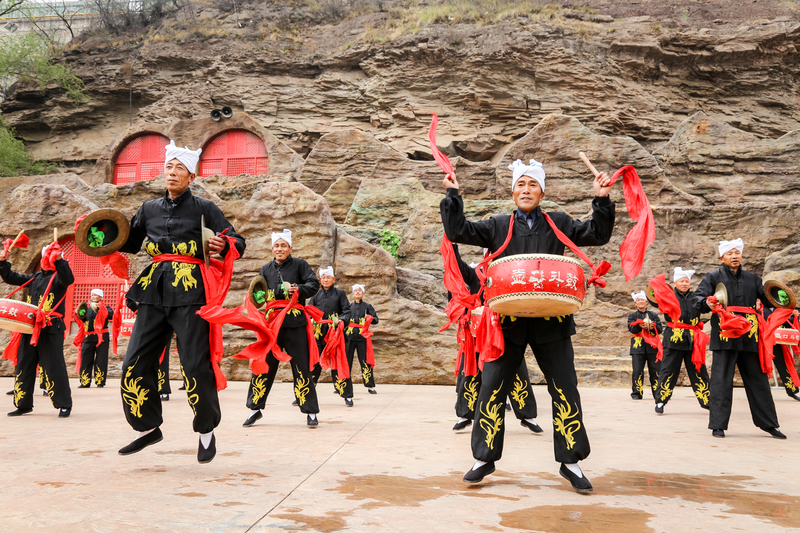 To increase summer tourism to the area, the local Chinese folks decided to bring a live musical/dance performance to the rocky shores on something like a natural stage. 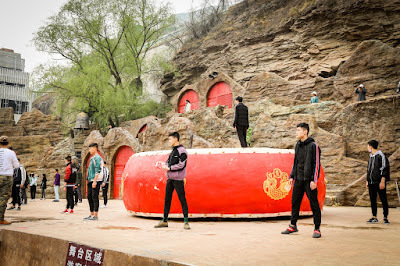 When we were there in early April, the cast was rehearsing several numbers, but in jeans and light jackets. 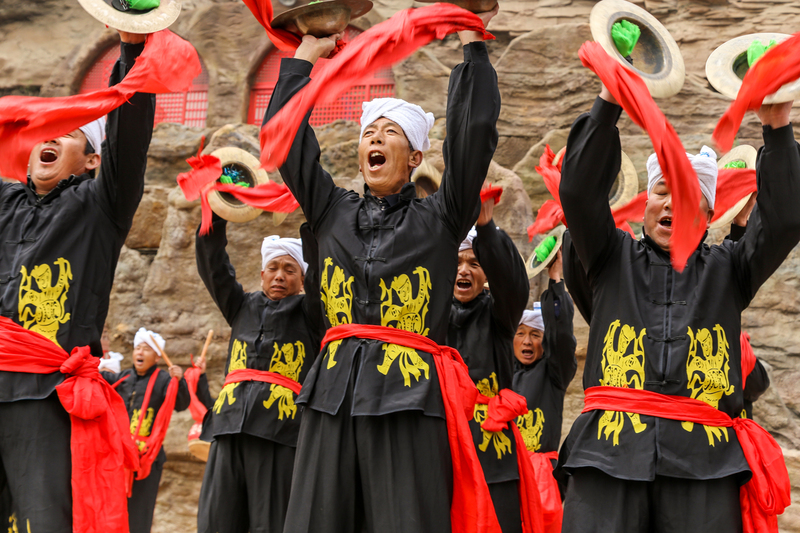 Knowing how spectacular Chinese costumes and performances run, I am confident the show will be a stunner. When their rehearsal was finished, we got a bonus – a brilliant festooned group of drummers. 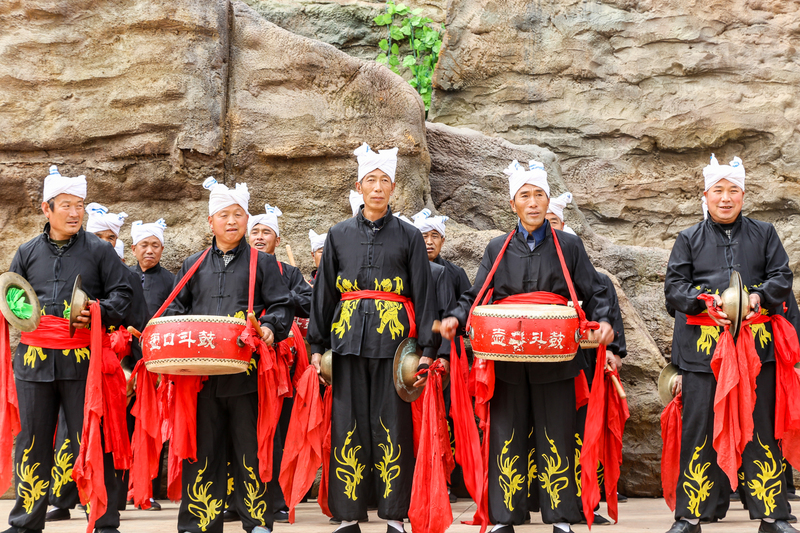 Shaanxi drumming groups are typically local clubs who meet and train to perform traditional dances. They show extreme passion while striking the beats with whole body intensity and passion. Their bodies seem to lift off the ground as if being pulled by puppet strings. Each performer appears to love every minute of the exhausting routines. We loved them, too and loudly cheered. 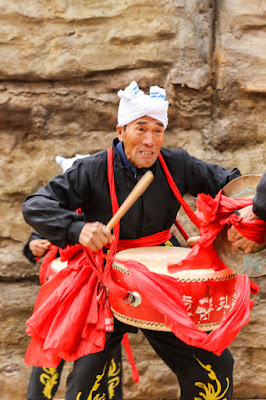 Look at the intensity on the drummers face. How do you say Ta Duh in Chinese? 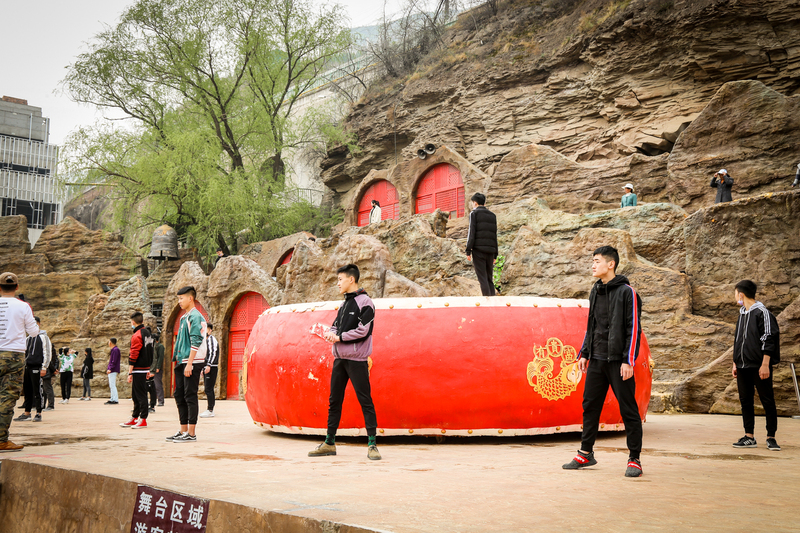 With that, we took off for our next stop further along the windy roads in Shaanxi Province.